Marco Asensio has been superb for Real Madrid, but will he be leaving soon? 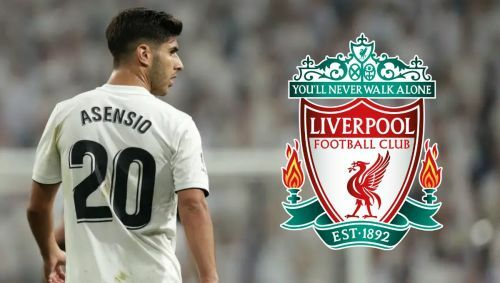 Liverpool have been known for spending lots of money in the transfer windows in recent years, with a whopping £163m spent on transfers last summer. Whilst for most clubs that would be the end of their spending for the season, Liverpool are known to have very deep pockets, so could be prepared to spend even more when the window opens next month. As of writing, Liverpool are sitting at the top of the league with 42 points. They have a great deal of momentum going into January, so some might argue that to change the squad around now might affect proceedings from here on out. But others could suggest that new blood in the team, especially those who are quality players, could propel them even further for the remainder of the season. The Reds have a strong squad, so trying to improve upon what they already have might prove difficult, but with the quality of players you'll find on this list, they might just be able to do that. 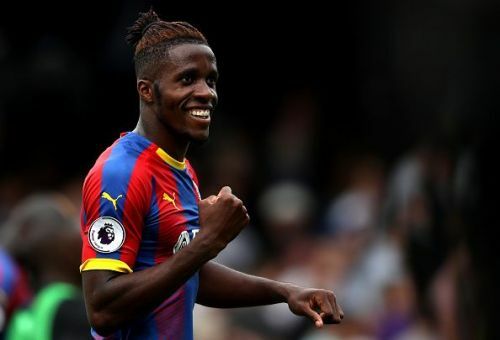 Liverpool were strongly linked with Zaha back in the summer, but talks fell through after Palace demanded £70m for him. Shortly after that, he signed a new contract with Crystal Palace: a deal worth £130,000-per-week, which runs through to 2023. Of course, contracts mean very little in this day and age - it just means a potential buyer must pay significantly more than usual to sign the player. It's no secret that Jurgen Klopp has always admired Wilfried Zaha's style of play, and many agree that he would be a brilliant tactical fit at Anfield. Imagine Zaha joining the strikeforce of Salah, Firmino and Mane - they would simply be unstoppable. If the £70m price tag remains intact in January, I can see Liverpool going for it. As I said, a player like Zaha would be indispensable to the current Liverpool squad based on the way it's set up. It revolves around speed, agility and an eye for goal - all of which are traits that Zaha has. Chelsea and Arsenal were also rumoured to have shown interest in the Ivorian, however, so Liverpool might have a bidding war on the horizon.